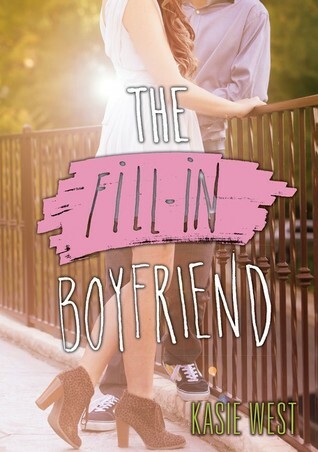 The Fill-In Boyfriend is a sweet summer romance book that teens will love. Kasie West is the writer of this and five more romance-packed books. Although it’s a sweet romance fiction book, it has a lot of positive messages. This story is full of surprises and unexpected twists. It contains social issues, friendship, and love and romance. The author excites readers and has them gasping and hoping the story doesn’t come to an end. Gia Montgomery’s boyfriend breaks up with her the night of Prom. Worried what her friends, and in particular Jules, might think of her not walking in with the guy Gia has been talking about, she makes Bradley, a guy she spotted in the parking lot her fill-in boyfriend. After that night they go their separate ways until they cross each other again and Bradley asks Gia to return the favor and pass as his fill-in girlfriend. They realize they’re falling in love with each other the night Gia is Bradley’s fill-in girlfriend. Gia’s ex-boyfriend returns threatening to expose Gia’s and Bradley’s lie if Gia doesn’t stop talking to Bradley. Gia’s love for Bradley will be tested. This book is a must read especially for the ages 13-18. The book has many lessons it teaches about finding yourself and your place. It’s about owning your feelings and not letting others define who you are. Especially if the opinions of other make us create a lie that may not have such a good ending like the book. The reader should look into this book because of the messages it sends and the good twist the book throws.